Some pieces of commentary end up becoming part of football folklore. Fans of the Norway national team still remember with fondness Bjørge Lillelien’s hysterical “Maggie Thatcher … your boys took a hell of a beating” playing in the background as the minnows upstaged England in a World Cup qualifier in 1981. Few Liverpool fans are unaware of David Coleman’s sardonic summarization of the Newcastle defence – “They were absolutely stripped naked!” – when Kevin Keegan scored his second goal in 1974 FA Cup final. For Austrians, this moment came courtesy of Eduard ‘Edi’ Finger on 21st June 1978 as they tuned in to follow their country square off against West Germany on a sunlit day at the Estadio Olímpico Chateau Carreras. The scoreboard read 2-2, the clock 87 minutes. German defender Rolf Ruessmann misses flight of a crossfield ball from the right-wing and it falls to the Austrian number 9 hovering near the touchline. The striker nods the ball forward, going past an off-balance Ruessmann and darting into the penalty box. Once inside, he takes his second touch, leaving Manfred Kaltz sprawling on the floor. Seeing impending danger, Sepp Maier comes off the line; the striker can sense Ruessmann closing in from behind and Bernard Dietz rushing in from his right. Almost nonchalantly, the striker uses his left foot to stroke the ball past Maier into the net. On the mic, Finger was “going crazy”. In Austria they still call this match ‘The Miracle of Córdoba’. It was possible because of the brilliance of the Austrian striker, Hans Krankl. Had this been his lone moment of glory, Krankl’s name would still have been written in golden letters in Austrian football history, such was the magnitude of this result. However, it wasn’t the only moment of greatness in a career that saw the striker become one of the prolific goalscores of his generation. Johann Krankl was born on Valentine’s day in 1953. His father was a youth coach at KSV Tramway and under him, a young Hans picked up his rudimentary lessons of the game. By the time he turned 12, he was spotted by a scout of Austrian giants Rapid Wien and joined their youth team. It was the start of a long and fruitful relationship. Years later, Krankl would credit two of his youth level coaches for helping to develop his game – Sepp Petschanka and Robert Korner. The latter was a club legend having played for Rapid for 16 years and was an important part of the Austrian team that earned a podium finish at the 1954 World Cup. Krankl continued his steady progress through Rapid’s youth ranks and was deemed a special enough talent to get a run with the senior team even before he turned 18. Gerhard Springer, the Rapid coach at that time, gave Krankl his senior league debut in March 1971 – the youngster stayed on the pitch for 90 minutes in a narrow 1-0 home win over WSG Wattens. Krankl played a few more games that season but was still considered too raw to regularly feature for the senior team. In order to aid his development, Rapid sent him on loan to Wiener AC in Austrian second division. In the Regionalliga Ost, Krankl exploded, notching up his first prolific season. He scored 27 goals in just 26 matches, helping WAC to score 58 goals, the best in their division. The highlight of his season came during a 9-2 thrashing of SC Hinteregger when the young Austrian registered eight goals to his name. The season’s end saw a change in Rapid’s coaching chair and new manager Arnošt Hložek was keen on making full use of his young prospect. In September 1972 Krankl scored his first league goal for Rapid during a 6-0 drubbing of Wiener SC. By the time the 1972/73 season had ended, he had repaid in full the faith showed by Hložek, finishing as top scorer with 14 goals. His performances in the league also saw him win a first national team call-up, for a friendly against world champions Brazil. Krankl continued his rich vein of goalscoring form in 1973/74, picking up his first top scorer medal with a staggering 36 goals in 32 matches. His tally remarkably included six hat-tricks, the peak of which was a four-goal haul in the Vienna derby. Amidst his domestic exploits, he also opened his account for Austria, drawing first blood in an eventual 1-1 draw against a Dutch team which was on its way to wowing spectators in World Cup. The next two seasons were modest in comparison, though he finished as Rapid’s top scorer in each, tallying 37 goals in 68 matches. The 1976/77 season saw the Austrian striker back to his prolific best as he once again finished as the country’s top scorer with 32 goals. His and Rapid’s best game that season came on the last day during a historic result against Grazer AK. Playing in front of a few thousand people in the newly opened Weststadion, Rapid plundered 11 goals past their hapless opponents, Krankl bagged seven of them, both league records to date. Staggeringly, three of his goals came in a span of just four second-half minutes. It was just a sign of things to come. Even by the standards of Hans Krankl’s ridiculously goal-laden career, the 1977/78 season was a freak of nature. He struck six hat-tricks and banged in an astounding 41 goals in 36 league matches. His tally was good enough to earn him the European Golden Boot, making him the first Austrian player to receive this honour. 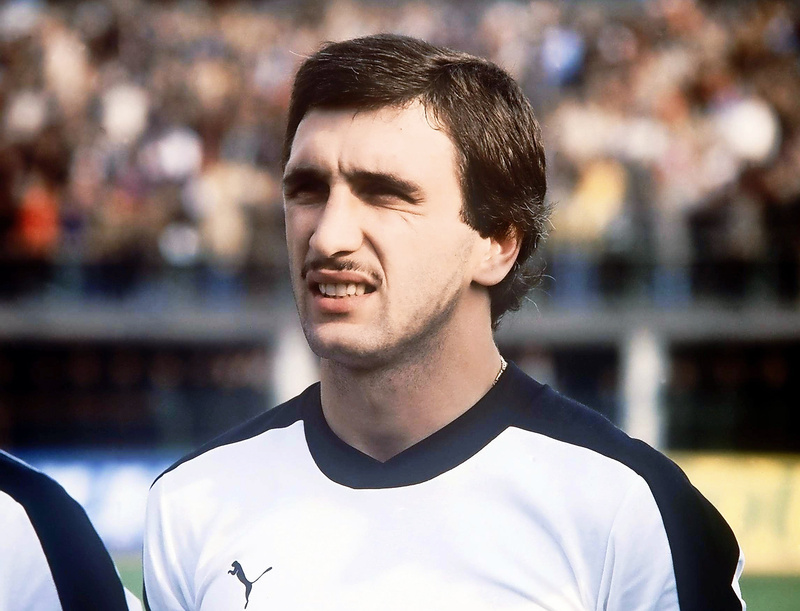 In peak form and about to enter the most productive phase of his career, Hans Krankl was ready for the biggest stage of them all: the 1978 World Cup. With a talented group of players at their disposal, the Austrian national team had made short work of a tricky qualification group to reach their first World Cup since 1958. Krankl had duly paid his part, scoring a double hat-trick against minnows Malta. When the group stages were drawn, few expected Austria to do well in the tournament as they were paired with Sweden, Spain and a Brazil team that boasted Zico, Rivellino and Toninho Cerezo. Austria began their campaign on 3 June, the underdogs against a Spanish side mentored by László Kubala and stacked with stars from Real Madrid and Barcelona. The Spaniards were left stunned after just 10 minutes as Walter Schachner struck a fantastic individual goal to put Austria one up. Eleven minutes later Spain drew level thanks to a deflected effort from Daniel Ruiz. Austria, however, were destined to have the last laugh as Krankl displayed his poaching instincts to score the match-winner with 12 minutes left on the clock. Four days later he converted a first-half penalty to seal a 1-0 victory over Sweden. With a game still left to play, the unfancied Austrians had not only qualified but they had also won their group; losing to Brazil in final group game didn’t make any difference. In the second group stage they were sadly out of their depth, pummeled 5-1 by Ernst Happel’s Netherlands narrowly by Italy. When Austria lined up against defending world champions West Germany in Córdoba they were already knocked out, but the Germans were still in with a chance to reach their second consecutive World Cup final and were locked in a fascinating three-way battle with the Italians and Dutch, who were playing each other. Even though the Germans had played poorly in the tournament, many back home believed that they had enough firepower to pick up a substantial victory, which would guarantee a place in the final. The Germans sang to the script as Karl-Heinz Rummenigge initiated and finished a smooth one-two to put his team ahead in the 19th minute. Despite the early setback, the Austrians held strong and there were no more goals in first half. Around the hour mark, Berti Vogts tried to shield from Krankl a cross from the right wing and managed to put the ball into his own net. Seven minutes later, the world was in shock. Eduard Krieger swung in a cross; Krankl received it and then swung his left foot like an emphatic hammer blow. Sepp Meier, the reigning German Footballer of the Year could do nothing. “A magnificent goal,” beamed the BBC commentator. There was only one way the Germans could respond and they made it 2-2 in the 68th minute with a set-piece goal. With just three minutes left on the clock, Krankl scored the third and completed the victory. This was Austria’s first win over West Germany in almost half a century. The players had upset all the odds and knocked out one of football’s powerhouses. All along, Hans Krankl had played a key role in it. They returned home to a hero’s welcome. Krankl’s outstanding performance in the World Cup saw him come tantalisingly close to winning Ballon d’Or in 1978, finishing just six points behind eventual winner Kevin Keegan. Thanks to his European Golden Boot and exploits in the World Cup, Krankl soon became a sought-after player across Europe. Valencia were the initial favourites to bag his signature and their fans were looking forward to a lip smacking partnership between Krankl and 1978 World Cup top scorer, Mario Kempes. The transfer saga would then take a u-turn as a new player entered the race. Johan Cruyff had decided to bring the curtain down on his legendary Barcelona stint in 1978. Newly elected president Josep Lluís Núñez and new coach Lucien Muller had the unenviable job to replace a talismanic player who had defined the way Barcelona played in the previous five seasons. The rumours linked names such as Kevin Keegan and Paolo Rossi, but Krankl’s grand show in the World Cup meant he was the man Barça wanted. Despite his prolific track record, the Barcelona management were taking a significant risk in signing Krankl. His goals had come in one of Europe’s unheralded leagues and he was a different player from Cruyff. While Cruyff thrived in a free role and hovered in the space between midfield and attack, Krankl was a pure fox in the box. He was a finisher par excellence, with superb predatory instincts and an extremely strong left foot. At a shade under six foot, Krankl was strong in the air and had a sudden burst of speed that lethally combined with his intelligent movement. With short hair and an awkward moustache, he even looked different from Cruyff with his Jagger-esque swagger. The Austrian could have easily wilted under the pressure of a big club but he was made of sterner stuff. It took him just two matches to get off the mark in the league, intriguingly against Valencia as he cancelled out Kempes’ opener in a 2-1 victory. In November he scored his first hat-trick for Barcelona in a 6-0 thrashing of Celta and followed it up with three more hat-tricks that season. His best performance came in January 1979 as he smashed five goals in a 9-0 win over Rayo Vallecano. He also opened his account in El Clásico, scoring once at Camp Nou to seal a 2-0 win. The drastic change of scenery had not impacted upon Krankl’s form; he maintained an almost similar record to that in Austria and finished his first La Liga season as top scorer with 29 goals in 30 matches. Despite Krankl’s exploits, Barcelona’s league form was inconsistent. They were also knocked out by Valencia in Copa del Rey and this prompted the club’s administration to part ways with Muller. The Catalans’ only hopes of salvaging their season hinged on the Cup Winners’ Cup. The Blaugrana began their campaign with a comfortable 4-1 aggregate triumph over Shakhtar Donetsk, with Krankl scoring in both legs. Waiting for them in the second round were defending champions Anderlecht. Coached by Raymond Goethals, who would later go on to become a European champion with Marseille, the Belgian side were one of the top dogs in the competition and boasted talents such as Rob Rensenbrink, Arie Haan and Frank Vercauteren. They laid bare Barcelona’s defensive frailties in the first leg, dishing out a dominant 3-0 win. The Spaniards needed a mini miracle to save the tie and 100,000 people crammed into the Camp Nou in return leg, hoping for one. They needed a strong start and Krankl provided just that, cutting back from the left wing and dragging two opponent defenders away before unleashing a rasping drive from an almost impossible angle. Another beautiful goal from Juan Heredia ensured that Barcelona went into half-time 2-0 up and smelling blood. 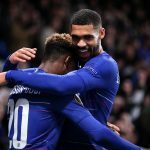 They continued to assault Anderlecht in the second half and levelled the tie just three minutes from time when Rafael Zuviría finished off an impressive counter-attack. The Belgians held out in extra time but could not handle the pressure of a full Camp Nou in the penalty shootout, missing twice and handing Barcelona one of European football’s greatest comeback. After scoring the important first goal of the return leg, Krankl also successfully converted the first penalty in the shootout. Bobby Robson’s plucky Ipswich Town came extremely close to knocking them out in quarters after a 2-1 win in England. However, the away goal made a difference as the Catalans eked out a nervous 1-0 home victory. Surprise semi-finalists KSK Beveren was dispatched with two 1-0 wins, Krankl scoring in the away leg to help Barcelona reach their first European final in 10 years. While rest of his teammates geared up for the final, Krankl’s life took a sudden turn. On 5 May 1979, he was sent off during an ill-tempered Catalan derby. While returning from the match. Krankl’s car crashed into another car. Initially it looked like Hans and his wife Inge were unharmed, but both were rushed to a hospital by Barcelona vice-president Joan Gaspert. In the hospital, Hans learned that his wife had suffered severe liver damage and needed a blood transfusion to survive. As requests for blood donors spread through the media, Barcelona fans arrived in hordes and his wife was eventually saved. As his wife recovered, Krankl took some time off from football, but after just 11 days he was back on the pitch in Basel, playing the Cup Winners’ Cup final against Fortuna Dusseldorf. Out of practice and still not mentally at ease, the Austrian looked out of sorts in an epic final. Barcelona’s defence struggled to handle the firepower of Wolfgang Seele and Allofs brothers, Thomas and Klaus, as normal time ended 2-2. In extra-time Carles Rexach made it 3-2 for Barcelona. 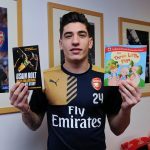 Seven minutes later, Francisco Carrasco opened the Fortuna defence like a can of tuna and found Krankl free in the box. He took two touches before calmly slotting the ball away for Barcelona’s fourth goal. With Fortuna scoring one more, it was the fourth goal that made all the difference and sealed Barça’s title. The following season, the Barcelona squad went through an upheaval. Fan favourite Johan Neeskens was replaced by 1977 Ballon d’Or winner Allan Simonsen. Krankl started the campaign poorly and scored just twice in the first half of the league season. To make matters worse, he clashed with manager Rifé, who was a strict disciplinarian. As a result, mere months after he finished as club top scorer, Hans Krankl was put up for a loan deal in the winter window. Rapid president Heinz Holzbach was initially interested in bringing Krankl back but when he failed to gather funds, the striker signed for First Vienna FC. Barcelona brought in Brazilian Roberto Dinamite, a striker who scored bundles of goals for Vasco Da Gama. The contrast was evident from almost the first match. Symbolically Krankl scored the only goal in an away win against Rapid to show the management what they had missed out on. He found the net eight times in his first six matches and eventually ended the season with 13 goals from 17 matches. Dinamite, on the other hand, struggled to settle and could manage only two league goals and soon left the club. Rifé was replaced by Helenio Herrera, followed by Kubala, and Krankl was once again brought back to Camp Nou. The 1980/81 season was tumultuous for both Krankl and Barça. Now playing alongside Quini, a goal poacher in a similar mould, the Austrian struggled to get going. Poor results meant Kubala was sacked and Herrera again came back as coach. The Argentine preferred a more conservative system and opted to sign midfield maestro Bernd Schuster, sacrificing Krankl to free up a foreigner slot. The Austrian striker had scored 45 goals in 60 matches for Barcelona, a fantastic record by any scale. Unfortunately for him, constant chopping and changing of coaches meant his Barcelona career didn’t go on as long as it should have. Dismayed by the little shelf life given by big European clubs, Krankl rejected other offers to return back to his spiritual home of Rapid Vienna. Despite Krankl’s bounty of goals in his first stint, Rapid had not managed to win much silverware, something that Hans wanted to change as a veteran. He was soon joined by quality players like Antonín Panenka, Zlatko Kranjčar and Anatoli Zinchenko. Together they would end a 24-year barren spell for the Vienna giants and lift the league title in 1981. 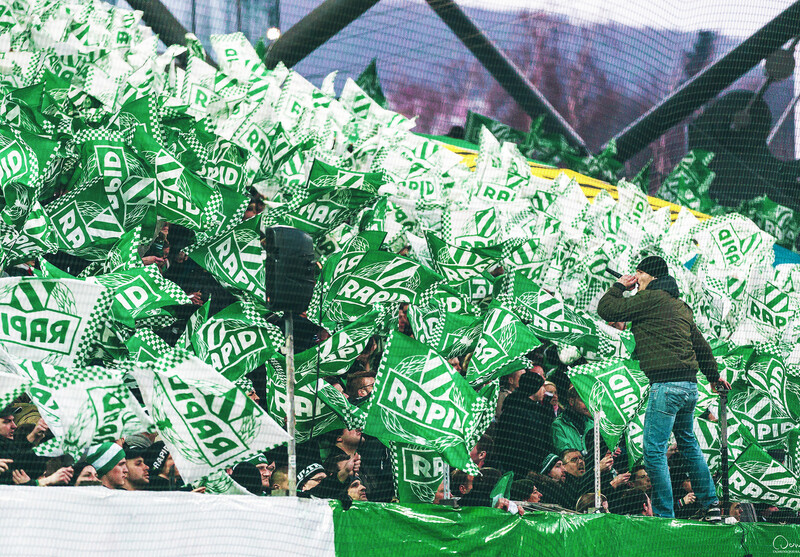 The following season was even better as Rapid finished level on points with rivals Austria Vienna but clinched the league title on goal difference – Krankl finishing as top scorer. Rapid also completed their first double in years after beating Wacker in the final of Austrian Cup. Well into his 30s now, Krankl had not slowed down and managed to score 151 goals in his six seasons with Rapid in 1980s. Krankl came close to winning another European title in 1985 when Rapid made their way to the Cup Winners’ Cup final. He scored three goals en route as Die Grün-Weißen dispatched Beşiktaş, Celtic, Dynamo Dresden and Dynamo Moscow to set up a final against Howard Kendall’s brilliant Everton side. The soon-to-be English champions proved a class apart and raced to a 2-0 lead in the second half. Krankl pulled a goal back in the 85th minute but could do little to prevent a 3-1 loss. The following season Krankl made his final farewell to Rapid after falling out with the management regarding a training camp in Tajikistan. He retired after spending two seasons with Wiener Sport-Club (40 goals in 60 matches) and then a final season with Austria Salzburg (later to be rechristened Red Bull). In Salzburg, the 36-year-old striker executed a flying scissor kick which would win him goal of the year award, his last piece of brilliance. Hans Krankl created several records as a player, some of which still stand today. He is Rapid’s all-time top scorer in the league with 217 goals in 284 matches, and the Austrian Bundesliga’s all-time top scorer with 270 goals in 361 matches. With 20 goals, he is the second highest scorer in the history of Vienna derby. When he retired he was the leading scorer for his national team, a record which was later bettered by Toni Polster. 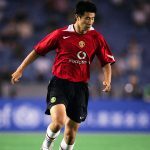 His 33 Cup Winners’ Cup matches yielded 17 goals, making him fifth highest scorer in the history of the now defunct competition. Along with his records, Krankl was also a fan favourite. This was evident when Rapid fans selected him as one of the players in Rapid’s all-star team of the 20th century. 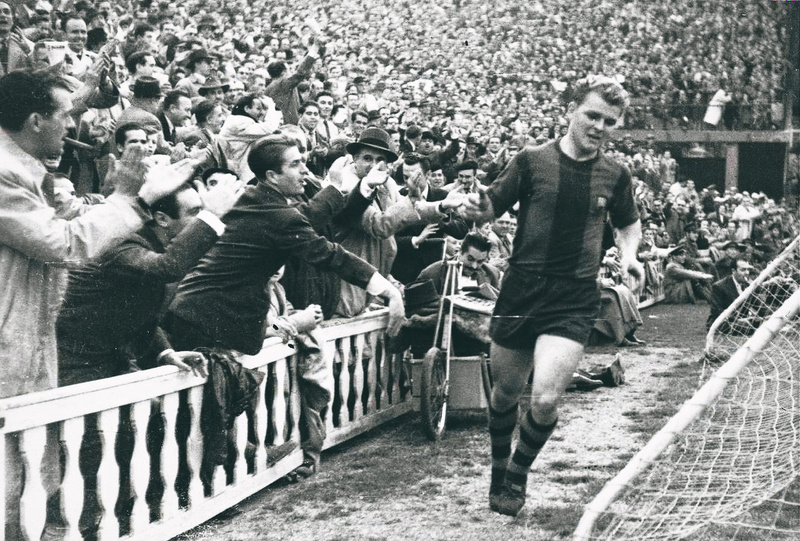 Even Barça TV would later pay him respect, publishing a documentary titled Johann From Austria. Krankl is still remembered fondly by the Barcelona faithful even though he effectively played just one full season with them.